Coming into force in May 2017, Decree No. 20/2017/ND-CP on tax administration of enterprises having transactions with related parties has laid a legal foundation to better control transfer pricing and prevent losses of state budget revenues. 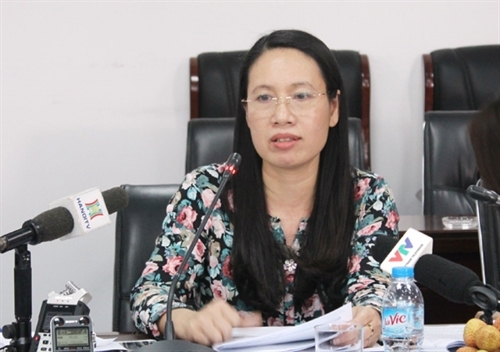 Nguyen Thi Lan Anh, Deputy Director of the General Department of Taxation’s Inspectorate Department, told the Hai Quan (Customs) online that the regulations under Decree No. 20 were built on the basis of promoting effective regulations in the past, remedying some bottlenecks, and updating and adding new management solutions adopted in the Action Plan on Base Erosion and Profit Shifting. In order to collect sufficient tax information of multinational corporations, Decree No. 20 requires enterprises to prepare their transaction price determination dossiers at three levels, including master file containing information about global corporations, local file and country-by-country profit report of an ultimate parent company. These dossiers will help improve tax authorities’ risk management for transfer prices and reduce the burden of compliance costs for taxpayers through coordination in information exchange among countries, Lan Anh said. In addition, a taxpayer must prepare a country-by-country profit report in cases it has an overseas ultimate parent company and the company is required to submit this report to the tax agency in the host country, or the taxpayer is an ultimate parent company operating in Vietnam and generating at least VND 18 trillion in global consolidated revenue. Lan Anh said the requirement for a parent company headquartered in Vietnam having a global consolidated revenue of at least VND 18 trillion to make a country-by-country profit report was made from research and international experience. Currently, this figure in many countries is about EUR 750 million. According to Decree No. 20, tax agencies may assess tax in cases taxpayers fail to provide or sufficiently provide information; provide insufficient information required in the related-party transaction price determination dossier; or use inaccurate or untruthful information about independent transactions to carry out comparability analysis, declare and determine prices of related-party transactions, or rely on materials, data and evidencing documents which are unlawful, invalid or are of unclear origin to determine the price, profit ratio or profit distribution rate for related-party transactions.